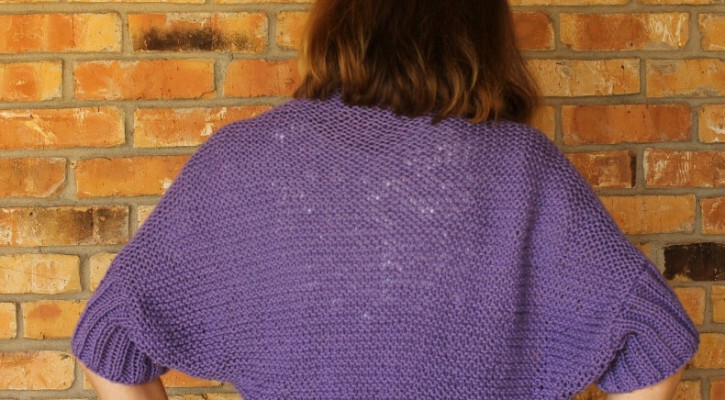 This knitting pattern is for an easy to knit and easy to wear cotton shrug. The shrug features ribbed sleeves. 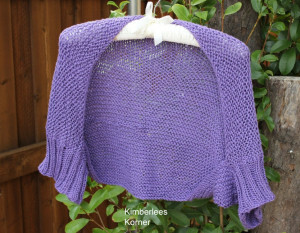 The body of the shrug is knit first and then the sleeves are knitted in the round. 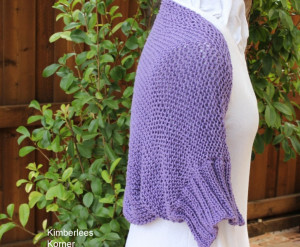 This is an easy pattern to knit and can be completed quickly. 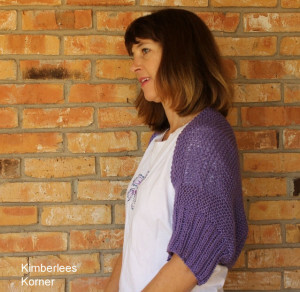 Skills you need to know to knit this shrug are: knit, purl, knitting with circular knitting needles and knitting in the round. 2 needle sizes are used to this pattern, size US 10 and US 9 circular. The yarn needed to complete this pattern is cotton yarn, #4 weight. I used Hobby Lobby I Love This Cotton – 2 skeins or approx. 360 yards. Finished shrug measures 35 in. from sleeve end to sleeve end and 20 in. 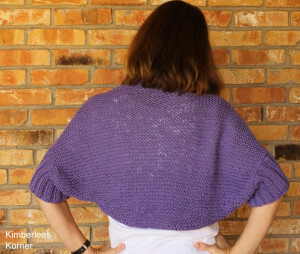 wide in the back – note: shrug is very stretchy. 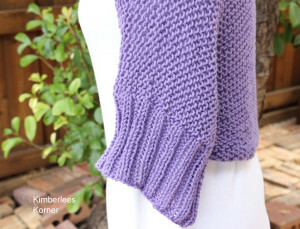 Please contact me using the contact form on my About page if you have questions about this pattern. Paypal is the accepted payment for all my pattern on my website.